Will he be fit and match ready for the WC qualifiers? If cricket can make an instant star of a tennis ball cricketer with a flappy wrist who not so long ago was riding his brother’s bike 30 miles just to get a game, you get the feeling something, somewhere is heading the right way. Will miss M'Fizz's personality in this game, not just his bowling. I just had a thought, in cricket, why don't injured players show up at the ground to watch the game? In NBA for example, injured guys from the squad will suit up and sit in the bench along with the squad. I think this is good. I would love to see M'Fizz on game day, either at the dugout or at the player's box. Also Aaqib Javed had high praises for Taskin and Fizz. Bhurmra's action may get him injured. All credit goes to Bijoy for asking to him bowl slow cutters in the nets. We should not have to have him bail us out of the qualifiers. Nice article. Hope he gets a county contract soon. That will help him immensely. Rabada got one. So why not our boy. Cause he single handedly destroy india ...one of the best atm. India never produced such a pace bowling sensation. 4 overs 41 runs = Destruction you got that part right but the thing is its destruction for his own team..
Just don't hype him too much because or 1 or 2 good series everyone does well at start no where too be seen years down the line..
^Do you ever have anything nice to say about BD or other nations players? Seems like your over the top ultra nationalistic person. Buddy let me remind you: Mustafiz took 5Indian wickets in his first game ever odi game on debut, then another 6indian wicket in his 2nd game-- that's against one of worlds best batting side, on debut too. Thats pure class. Something India will never produce having a bowler who can take two 5wicket hauls in a row in, in his first two ever ODI's. HYPE? You call it one or two series?- Are you talking about Indian trundlers that come and go? Lmao. He destroyed India great batting line up on his own. Show me who has taken 11wickets in his first two odis and 13 in his first 3? Against top sides. Anyone? NO. Lmao. 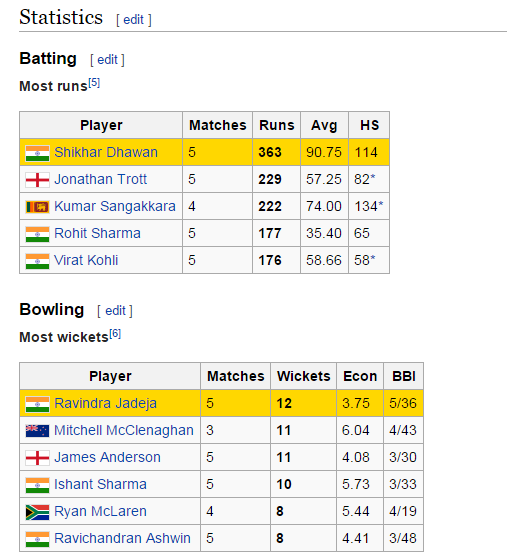 From Jadeja's talk, he mentioned that India tried 21 fast bowlers since 2011 WC win. They come, get hyped and go. Starting from the trundling of Dinda, Praveen whom we smacked in Asia Cup to Shami, who got overused and now is outside. Now their new legends, Hardik and Bumrah will face the same fate 1-2 years down the line. The cycle continues. By that calculation, expect some new Indian 'fast' bowling legends to surface in the Champions Trophy in UK. He has a county contract, just not for the first class games. Yet. says the guy who posts out of his rear in every thread..
What happened in 3rd odi and what happened in 1st T20 ? Did you produce a guy who takes Hatrick in Tests on 0-3 ? Atleast we know how to win ICC tournaments than some teams who NEVER get to SF in first place..
Lol do you understand cricket mate? One bad day or bowling figure doesn't make you ordinary. He is a special bowler that's why everyone accross the globe chasing him. Even you don't have bowler like taskin. And Irfan BIG LOL how mushi destroyed his career in 12 asia cup. Who is bhuvi by the way.. not ringing the bell. 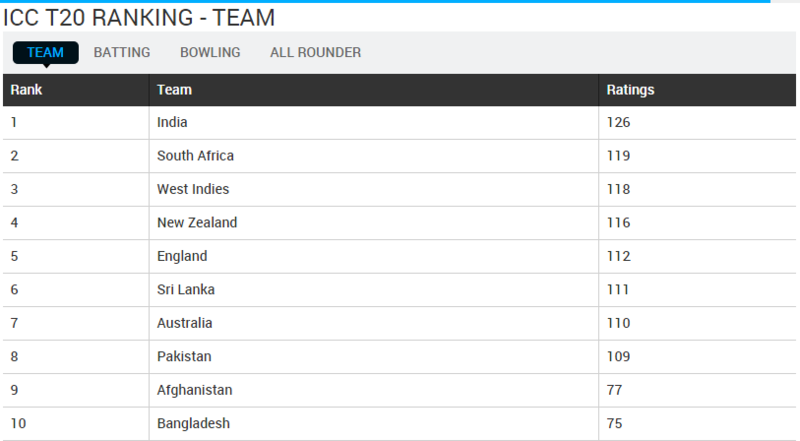 Please accept that we have better fast bowler and we are number 1 odi team in Asia.india is the power house in t20. Ohh look who is preaching me about Cricket..
Its just the Hype you created no one is chasing him.. May be your are Referring to ADVERT agencies that are chasing him..
Tasktin seriously who is he ? Another hyped guy ? Mustafizur, being selected for a county team is refreshing. Whatever skills he may add to his repertoire in seamer friendly conditions is of much importance to him. Mods deleting some my posts and leaving KingKohlis bias opinion's (which itself seems like trying to undermine BD's quality). see how nice BD fans are Kingkohli? we are very deplomatic in general. So don't keep trying to say bad stuffs about BD fans.